With a long guest-list, it may seem impossible to create an intimate wedding. Here’s what you can do to make you feel like you’re not a million miles away from your guests! You could host a pre-party or two in preparation for your wedding day – it will get all your guests together in their separate groups and encourage them to mingle. You’ll be worrying less on the day about who knows each other as well! Choose soft and subtle mood lighting in your venue instead of striking bright lights, so your guests feel as if they’ve just walked into your home. It will also add a warm romantic touch to your setting! Create different spaces for your guests to explore at your reception, like a cosy corner or a VIP photo booth area so everyone can stay entertained without feeling like they are stuck in the crowd. Erase your plans for heaps of round tables for your wedding breakfast. Replace these with long tables, where people can chat a lot easier, or even have a buffet where your guests can take their time getting their grub at different food stations. This will give a real intimate edge to the meal and be an atmosphere where everyone can relax. 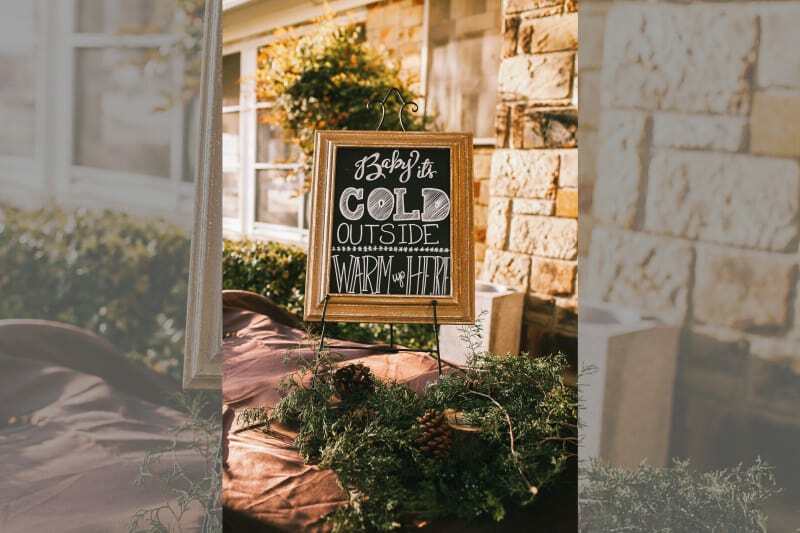 Make sure you greet your guests and mingle with them throughout the day – it will make them feel like they’re seeing a lot more of the bride and groom, and less like they’re having to queue up to talk to you at peak times. By creating a circle of guests around the action, everyone will feel like they’re in the front row. A 360 degree audience is also helpful for everyone to hear the ‘I Do’s clearly, and when photography time comes, your guests won’t be elbowing each other out the way to get a shot of the newlyweds. With an extensive guest-list, you might need to add some personalised touches to your wedding to make everyone feel special and valued. Consider handwritten notes at table settings or a handmade favour that your loved ones can take away as a keepsake. If you have a large venue that you want to feel intimate, you could try dividing the space with trees, decorations or drapes. This creates different sections for people to gather in, leaving room for a dancefloor in the centre to draw everyone in! Choosing darker colours for your theme, like rich reds and royal blues will make a large area seem a lot more intimate, while lighter colours and whites will make a small room feel spacious and airy. Pick the colour of your decor based on the size of your venue and how you want the room to feel – and obviously your dream wedding colours! One way to make sure your guests are waited on quickly is to hire more staff. With hundreds of people to feed, the staff will be busy and there’s always that one relative who gets grumpy about their empty plate being left for so long. It might cost you, but there’ll be smiles all round when the service is of high quality – and it’ll make your day knowing everyone is happy!